If you’ve got it, flaunt it, right? Most resorts, like other businesses, all display their badges of honor with pride, but what is truly behind some of those gleaming, reputation-building badges? From top rankings on TripAdvisor to RCI Awards to Chamber Certifications and BBB ratings, I’ve scoured some legacy timeshare properties that win top awards and found out what EXACTLY it is about those properties that make them stand out from the crowd and become deserving of the accolades that they showcase. This one shouldn’t be surprising, but water amenities from the ocean to pools to hot tubs makes a serious impact in guest’s happiness level. Out of 225 five-star reviews for a variety of timeshare resorts, 46% of them contain compliments on either the pool, ocean, hot tub or beach while only 2% of the one and two-star reviews mention any of those. This showcases that water amenities from pools and hot tubs to providing beach chairs needs to be a high priority. Even if your resort doesn’t have certain water-based amenities there are things you can do to accommodate them. 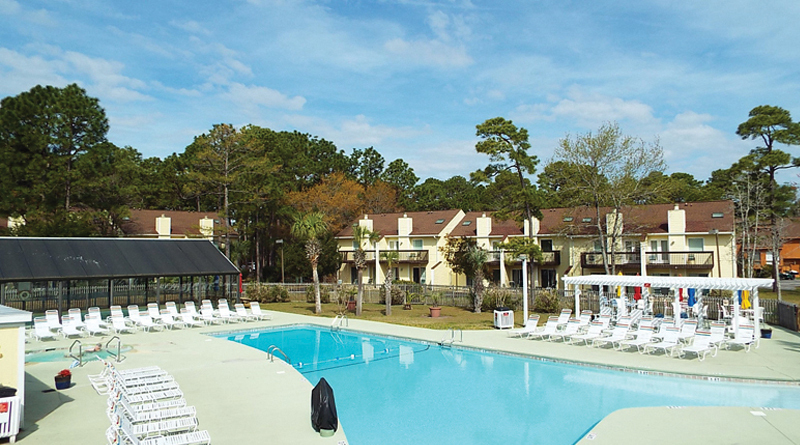 For example, Links Golf & Racquet Club in North Myrtle Beach is not an oceanfront property, in a city where the ocean is the main attraction, but to compensate for that they offer a beach shuttle that will take guests to a beachfront cabana so they can still enjoy a convenient beach day. Of course, people want to sleep well and feel rested when they are traveling, so a good bed is important. What could be the most important though is not having an awful bed. While 12% of five-star reviews mentioned the bed and how comfortable it was, 31% of one and two-star reviews mentioned the bed and how terrible it was. So, if you want to avoid low stars, get a quality bed. Lehigh Resort Club in Lehigh Acres, Florida is not in your typical vacation paradise. It doesn’t sit on the well-known beaches of Miami or even any beach for that matter, yet it still garners five-star reviews across multiple online platforms. The biggest compliment found in those reviews – activities! From the slew of on-site activities such as the pool and ping-pong to the daily competitions and events such as pool golf and volleyball games planned by the staff, their range of activities is constantly mentioned. Even a small, boutique property with no activities staff can find more ways to give people options from building local guides to having knowledgeable front desk staff that can help guests decide on the best entertainment and activities for their preferences. While people want to stay at a top resort, most vacationers go to specific places for other reasons. If you make it easy for guests to access the local attractions they will be forever grateful. Blue Tree Resorts in Orlando offers a shuttle service to nearby Walt Disney World and that service is applauded in 43% of their five-star reviews. Foxhunt at Sapphire Valley is situated in the mountains and offers guests and owners access to a wide variety of amenities through a partnership with the Sapphire Valley Master Association. Through that partnership, guests can swim, play tennis, golf, workout, ski, zip-line and more. All activities that they would need to coordinate on their own if it wasn’t for the resort making the arrangements to provide them. And the biggest winner is…the staff! In the age of technology and self-service kiosks, when people travel they still hold exceptional value to the staff. For example, when looking at 22 resorts across the Defender Resorts portfolio and their feedback, 34% of five-star reviews give credit to a person or persons that made their vacation easy and memorable and 89% of the overall reviews for 22 resorts managed by SPM Resorts praised the friendly staff. The top qualities mentioned that resort staff should strive towards are friendly, helpful, nice, responsive, efficient and enthusiastic. The really glowing reviews mention specific names and things that staff members did to help out such as the maintenance staff getting out a ladder and removing the roof carrier off a vehicle for someone. Empower and incentivize staff to make guest’s vacations easy and enjoyable and no matter what your resort size, amenities or location, it’s sure to be well-known as a top resort.